FishPal’s guide of the month is Glyn Freeman of Cumbria Fly Fishing. Glyn is a full time and fully qualified AAPGAI instructor and guide who is based and has fished on the river Eden in Cumbria for over twenty five years, also an appointed fly casting instructor and guide for John Norris of Penrith. Spey casting tuition and fishing for salmon along with presentation casts and fishing for wild brown trout and grayling on the Eden can be a sublime experience in such beautiful surroundings. Glyn is also a keeper on the lower river and a member of the team working with youth for Borderlines in Cumbria and south-west Scotland. Teaching is one of Glyn’s great passions in life, to see someone smile after they make their first good cast or catch their first fish is absolutely priceless. All abilities for ladies and men are catered for, whether you are just starting out or been fishing for a while and want to improve your technique, even a brush-up before your fishing break, the day’s on the water are tailor made to suit peoples aspirations, one to one or small groups are ideal. 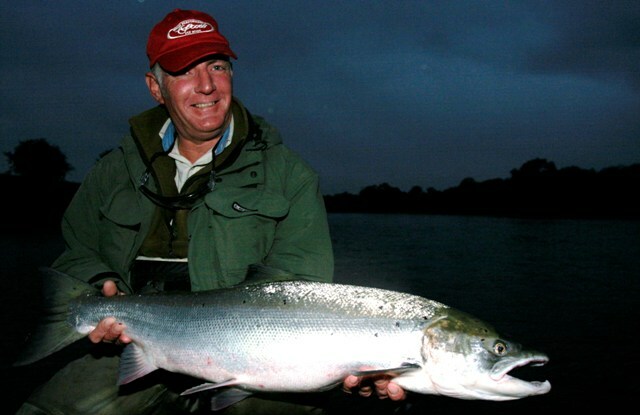 Cumbria Fly Fishing also run residential salmon courses on the river Tay in May and the Autumn. A great day spent on the Eden with Glyn Freeman. Superb Spey Casting tuition with tips on trout casting thrown in . Can’t wait to book in the spring with Glyn. Relaxed and totally informative lesson that enabled me to progress throughout the experience.